One of the most famous, interesting and awe-inspiring of all collections of American coins, and related items, was formed by Eric P. Newman, who celebrated his 102nd birthday not long ago. On Nov. 15th and 16th in New York, Heritage will auction a large portion of this collection. The focus, here in part 3, is on Draped Bust Quarters, which were minted from 1796 to 1807, though not in every year in between. 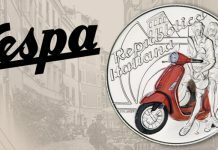 Not all of the Newman Coin Collection coins to be offered are extremely expensive. An NGC graded Fine-12 1827 dime, for example is likely to sell for less than $100. 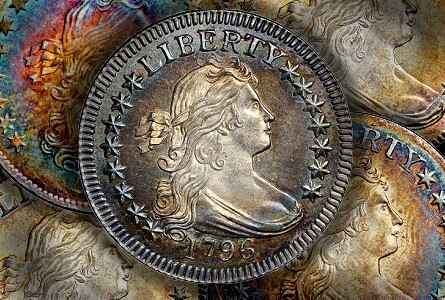 Several Liberty Seated Quarters in Newman’s collection may sell for less than $200 each. Draped Bust Quarters, however, are very scarce in all grades and are usually purchased by affluent collectors. In part 1, general information about Newman’s collection and the man himself is presented. In part 2, coverage is provided of patterns from this collection that were auctioned by Heritage in April 2013. 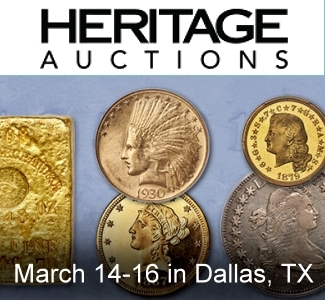 An incredible 1852 territorial $10 gold coin from the Newman coin collection was also in that auction. (Clickable links are in blue.) The Draped Bust Quarters discussed here are among the most astounding treasures in the Newman Coin Collection. Indeed, Newman’s set of Draped Bust Quarters may be the all-time finest assemblage of this series. Due to favorable natural toning, some of the Green-Newman quarters are now of much higher quality than the same coins were when they were in Col. E.H.R. Green’s possession. 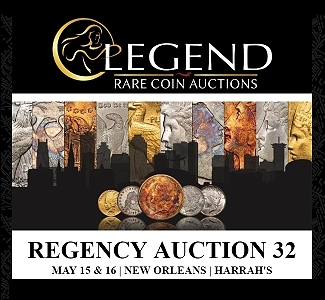 This group is certainly the best group of Draped Bust Quarters to be auctioned over the last sixty years.The second best belonged to Louis Eliasberg, who formed the all-time greatest collection of U.S. coins, overall. In April 1997, Eliasberg’s quarters were auctioned by the firm of Bowers & Merena in New York. 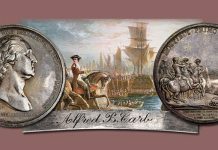 Newman has several awesome, Choice or Gem grade, Draped Bust Quarters, including one of the three finest known 1796 quarters. By tradition, Choice coins grade 63, Very Choice coins grade 64 and Gem coins grade 65 or higher. 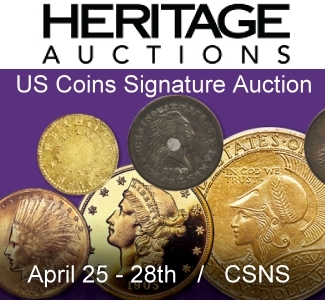 Naturally toned, relatively original MS-65 and higher grade Heraldic Eagle quarters (1804-1807) are incredibly rare and among the most sought after of all U.S. coins. In the history of coin collecting, few collections have ever had more than one true gem quality, Draped Bust, Heraldic Eagle quarter. I. What are Draped Bust Quarters? There are two design types of Draped Bust Quarters. The U.S. Mint produced quarters, for the first time, in 1796 and those of this year feature a Draped Bust of Miss Liberty on the obverse (front of the coin) and a so called ‘Small Eagle’ on the reverse (back of the coin). The eagle design element on the reverse is not really small. It was called a ‘small eagle’ to distinguish it from Heraldic Eagle reverse designs that were adopted at different times for all silver or gold denominations produced during the early era of the Philadelphia Mint. In regard to quarters, the Draped Bust, Small Eagle design was employed just in 1796. 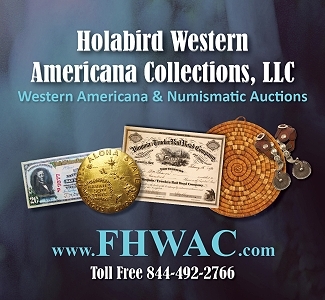 In another words, in addition to being the first issue of U.S. quarter dollars, Draped Bust, Small Eagle quarters constitute a one-year design type. After 1796, the next issue of quarters is dated 1804. The same Draped Bust obverse design was then paired with a Heraldic Eagle reverse design (tail), which is also termed a ‘Large Eagle’ reverse design. Draped Bust, Heraldic Eagle quarters date from 1804 to 1807. The following dates are needed for a complete set ‘by date’: 1804, 1805, 1806/5, 1806 and 1807. It is likely that many collectors of type coins will bid on the Draped Bust Quarters in the Newman Coin Collection that grade above MS-64. 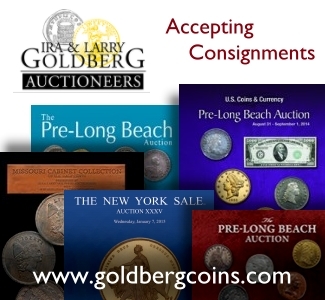 Collectors of type coins usually focus on the quality and attractiveness of each individual coin. Typically, they are less concerned about rare dates or varieties. Expensive, gem quality, pre-1840 coins are usually acquired by people who collect ‘by type,’ though there are a few people who collect pre-1840, choice to gem quality pieces ‘by date.’ Type coin collectors usually seek one representative of each design type in a particular kind of type set. 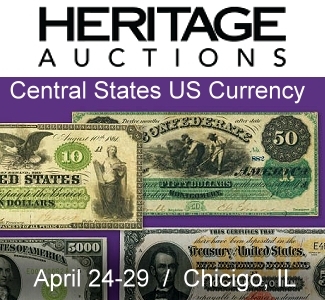 A comprehensive type set of all classic U.S. coin series that started during the period from 1793 to 1933 would be very expensive. Other kinds of type sets may be limited to quarters, to pre-1840 series, to 19th century silver coins, to bust coins, or to another framework. Most of the choice or gem quality, pre-1840 coins in the Newman Coin Collection were earlier in the collection of Col. E.H.R. Green. 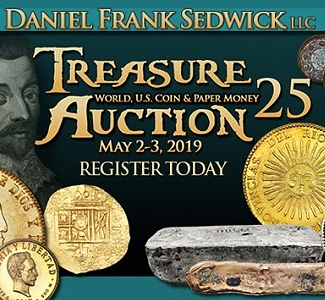 In part 1, I explain how Newman came to own many coins that were formerly in the Green Collection, which is widely regarded as one of the dozen all-time greatest collections of U.S. coins. 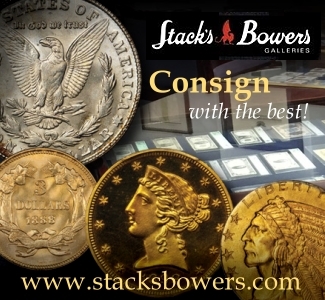 I have already seen many of the high grade, early quarters, half dollars and silver dollars in the Newman Collection. I am convinced from my inquires and from my own interpretations that the toning on all these is natural. Most (or all?) of the Green-Newman silver coins were dipped in the 1930s or 1940s, probably before Newman owned them. These have since naturally retoned while stored in “Unique [National] Coin Holders,” a type that were very frequently used by collectors from the late 1920s to the 1950s. In 2007, Rory Rea witnessed the presence of many of Newman’s quarters in such holders. 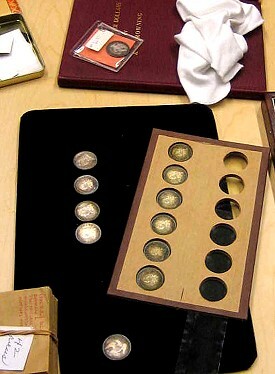 Rory then photographed a large number of Newman’s bust quarters and also some of the holders that housed these quarters. David W. Lange recently “completed a book about The National Coin Album, which began life as Beistle’s Unique Coin Holder.” Lange “found correspondence in the archive of The Beistle Company, which confirmed the purchase of hundreds of Unique Coin Holders by Green.” Lange is the director of research for the NGC and is an accomplished author. Dave notes that this correspondence, between Beistle and Green, “does not mention quarter dollars. 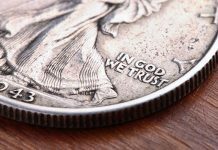 It is evident, though, from the distinctive symmetrically banded toning shared by the Green-Newman coins that the better bust quarters and half dollars were stored in such holders for many years. 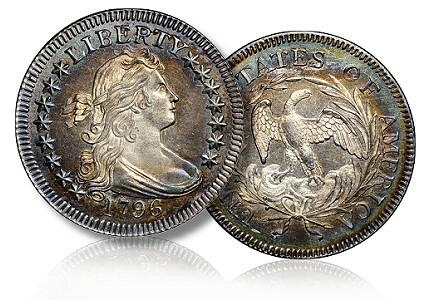 Newman also had many lesser coins that were stored in paper envelopes, rather than Unique/National holders, and these lack the pretty toning so appealing to collectors,” Lange explains. Quarters of 1796 are almost rare. I estimate that there are between 550 and 700 known in all grades. I am including those that do not qualify for numerical grades, of which there are many. Importantly, 1796 quarters that grade above MS-63 are extremely rare. Eric Newman’s foundation has the highest certified 1796 quarter. It is NGC certified “MS-67+*” and it has a sticker of approval from the CAC. The Norman-Knoxville 1796 Quarter was PCGS graded MS-67 very long ago, probably in 1989. If the Norman-Knoxville piece is not already CAC approved, it would very likely be if it was submitted to the CAC. Though I have never closely examined the Norman-Knoxville piece, my current, tentative hypothesis is that it is the finest known and that the Newman coin is the second or third finest. I have carefully examined two others that have been PCGS or NGC graded MS-66. The Norman-Knoxville 1796 was in the private collection of the late Norman Stack, a star of his type set. In 1989 or 1990, this type set was consigned to Eric Streiner. The buyer then of Norman’s 1796 quarter was Jay Parrino, who, in turn, placed it in the Knoxville Collection. In 2003, Parrino bought the Knoxville Collection intact and sold it in parts. The Norman-Knoxville 1796 quarter was later handled by John Albanese, who sold it to one of his clients. I believe that it was also NGC graded MS-67, in the 1990s, and then PCGS graded MS-67 again, years ago. The Knoxville 1796 and the Newman 1796 quarter are each extremely attractive. When I examined the Newman 1796 at the ANA Convention, I was overwhelmed. The head of Miss Liberty on the obverse (front of the coin) is literally covered by white frost, with soft pale blue tints. The eagle and wreath on the reverse (back of the coin) are so frosted as well. These design elements literally glow! There are neat shades of russet and orange-russet on the left side of the top of Miss Liberty’s hair and also about her chest. There is much more russet in the coin in actuality than appears in the Heritage images online, especially including orange-russet and apricot-russet hues. Some of the stars on the obverse have a wonderful light blue tint. Generally, these stars are well formed and bold. There are additional blue tints and streaks in various areas of the obverse. There are some gray and brown-russet colors, too. Overall, the toning is even and, to some extent, concentric (circles encircling smaller circles), more so on the reverse (tail). The eagle, wreath and clouds are exceptionally frosted and look really cool. There are russet shades outlining the wreath, before blue outer fields. Much of the reverse periphery has toned a deep orange-russet. This coin is semi-prooflike. Underneath the toning, the fields on both sides are considerably reflective. When the Newman 1796 quarter is tilted under a lamp, it really glistens and some of the subdued colors become richer. Given the attractiveness and pizazz of the Newman 1796 quarter, why does it not grade 68? There are a few small hairlines and other contact marks here and there, most of which are only noticeable with a magnifying glass. After taking eye appeal, sharpness, surface quality and originality into consideration, a 67 grade is certain. Whether its grade is in the middle or high end of the 67 range is debatable. I hope to see it in an environment with less overhead light, which disrupts grading, and then draw my own conclusion about where its grade falls in the 67 range. The 1804 is the key date of the Draped Bust obverse, Heraldic Eagle reverse type. It is rare in all grades. Indeed, the 1804 quarter is rarer than the 1796 quarter. Newman’s 1804 quarter is NGC graded “AU-55+” and it has a CAC sticker. 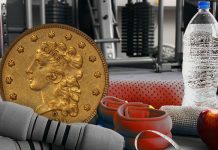 Experts at the CAC, however, ignore the plus aspects of plus grades assigned by the graders at the PCGS or the NGC. Therefore, it should not be assumed that graders at the CAC have determined that the Newman 1804 merits a “55+” grade or that the Newman 1796 merits a “67+” grade. In another words, experts at the CAC will not reveal whether they figured that the Newman 1796 quarter merits a grade in the middle of the 67 range or in the high end of the 67 range. 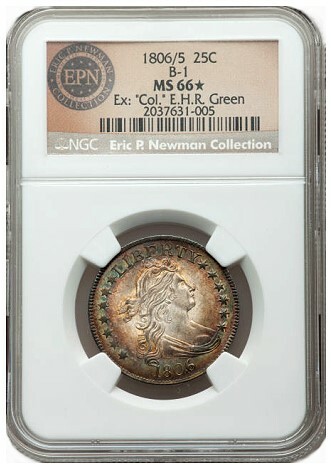 This Newman coin is not one of the six finest known 1804 quarters, though “55+” is a high grade for an 1804 quarter. I just glanced at it quickly while at the ANA convention. The obverse is much more attractive than the reverse, which has a notably dipped look. The obverse has terrific colors. The reverse, though, is much sharper than the obverse, in terms of design detail present. The obverse is weakly struck in parts. As a result, some collectors may be under the impression that this 1804 quarter has more wear than it does in actuality. Put differently, some areas of the hair, face, and shoulder were relatively flat when this specific coin was struck. 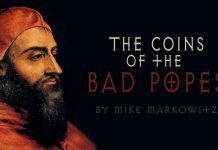 John Albanese remarks, “I remember liking it, a nice coin with attractive color and no problems.” Albanese is the president and founder of the CAC. Rory Rea figured that the Newman 1804 has the sharpness of an AU-53, along with the eye appeal and surface quality that he would associate with an AU-58 grade. So, Rory graded the Newman 1804 quarter as “AU-55” overall, years before it was sent to the NGC. Rea is the co-author and publisher of the standard reference on die varieties of bust quarters, Early Quarters of the United States Mint (2010), which features photographs taken by Rory. I have not yet seen any of the 1805 quarters in the Newman Collection. In the auction in November, there will be offered five. The grades assigned by experts at the NGC to these five 1805 quarters are: VG-10, Fine-15, Extremely Fine-45, MS-63 and MS-64+. The NGC assigned grades of four of the five have been approved by the CAC. The NGC graded F-15 1805 does not have a CAC sticker. I did examine Newman’s 1806/5 overdate, which is NGC certified “MS-66*.” The “*” is added for eye appeal by graders at the NGC. This coin certainly has eye appeal. It is more than very attractive. The bust of Miss Liberty is frosty and there is really neat toning in the obverse fields, especially shades of russet. The NGC certified “MS-65*” 1806 normal date in the Newman Collection is even more attractive than the Newman 1806/5 and is even harder to grade. There are some hairlines and other contact marks, a few U.S. Mint caused irregularities, and some weak areas. These factors, however, are much less noticeable than usual on a coin that has terrific natural toning, as this coin does. Prospective bidders should consult a grading expert before competing for this coin or for the Newman 1806/5. 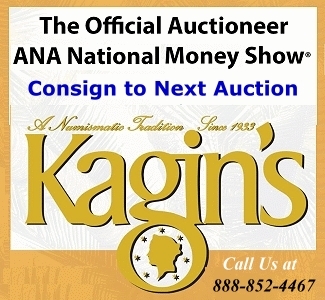 The eventual buyer of this one, though, will obtain a coin that has an amazing look, especially for a coin from 1806! A connoisseur could examine this coin for an hour without being bored. The two other 1806 normal date Draped Bust Quarters in this offering of Newman’s coins are each heavily circulated. One is NGC graded Good-04 and has a sticker from the CAC. It was formerly in the collection of Col. E.H.R. Green. A non-gradable 1806 was also formerly in the collection of Col. E.H.R. Green. 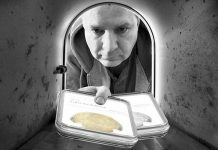 It is said by experts at the NGC to have the ‘details’ of a “Good” grade coin. The label in the NGC holder cites a scratch on the reverse, though that might not be this coin’s only serious problem. Nonetheless, this 1806 quarter may be very nice for a non-gradable coin with “GOOD DETAILS.” Also, Newman’s non-gradable 1806 is of a rare die variety. The Eliasberg-Blay 1807 quarter is PCGS graded MS-67. That coin scores higher than this Newman 1807 in the category of originality and significantly higher in the technical category. While the Eliasberg-Blay 1807 is virtually flawless, this Newman 1807 has technical imperfections; it has marks from coming into contact with other coins, probably before it left the U.S. Mint, and there are a few small scratches, probably from mishandling by a collector. To the best of my recollection, the Eliasberg-Blay 1807 has much fewer imperfections, though the Eliasberg-Blay 1807 is not nearly as dynamic a coin. 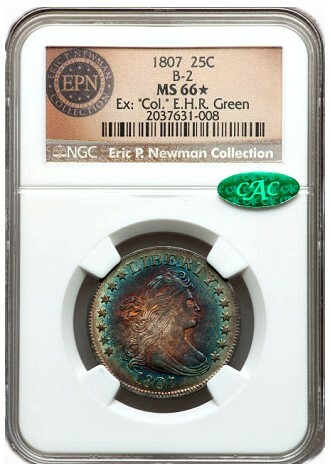 While the PCGS graded MS-67 Eliasberg-Blay 1807 is very attractive, this Newman NGC graded MS-66 1807 is exceptionally colorful and lively. “I loved it,” John Albanese exclaims. This 1807 “may be the prettiest coin in the whole Newman Collection”! I understand Rory’s enthusiasm for this 1807 quarter. While the reverse of this Newman 1807 quarter is very attractive, the obverse is mesmerizing. The central reverse is sort of a russet-gray-silver color, which has has been slowly retoning after a dip decades ago. The reverse outer fields are terrific. If I remember correctly, shades of purplish-blue, deep green-blue and ocean green, in approximate circular forms, dominate the outer fields of the reverse. Maybe some orange-russet tones outline or form patches about the clouds and the wings. The enticing colors and the concentric nature of the toning on the obverse cannot be fully explained. The tan center is surrounded by shades of russet, which, in turn, are encircled by bright blue colors. These blue colors blend into light green colors about the outer design elements, the stars, letters and numerals. The toning beyond, at the periphery, about the dentils, is neat and even, too. More so than any other quarter in Newman Collection, this 1807 really should be viewed in actuality. There exist, incredibly few Draped Bust, Heraldic Eagle Quarters that grade higher than 64! A majority of those that have been certified as grading 66 or 65 have been very apparently dipped and/or processed. These thus tend to score much lower than the Newman coins in the category of originality. It would not be fair to the gem quality, Newman bust quarters to categorize them with all other bust coins of the same respective dates and types that have been NGC or PCGS certified as grading higher than 64. Most of the colorful Green-Newman coins are really special.